To subscribe to the Globe at Night Newsletter & Announcements email list, send a blank message to globeatnight-list-on@noao.edu. You will receive an email in reply to confirm your subscription. Follow the instructions in that email to finish joining the list. The latest issue of the Newsletter is below. Welcome to the March Globe at Night Newsletter. Celebrate the 13th year of this international citizen-science campaign by joining us in collecting observations of the night sky brightness. Our constellations for the March 27 through April 5 campaign and the April 25 through May 4 campaign are Leo for the northern hemisphere and and Crux in the southern hemisphere. Be sure to like us on Facebook and follow us on Twitter for more dark skies news and Globe at Night Spotlights. 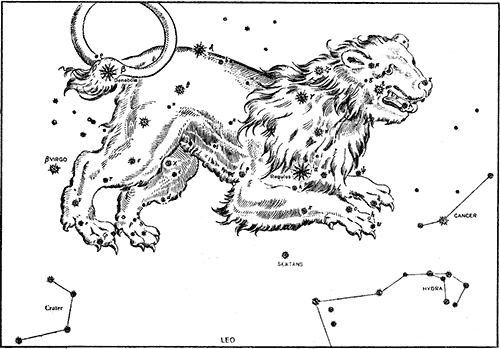 Read about the myth of the Leo constellation, the Lion. 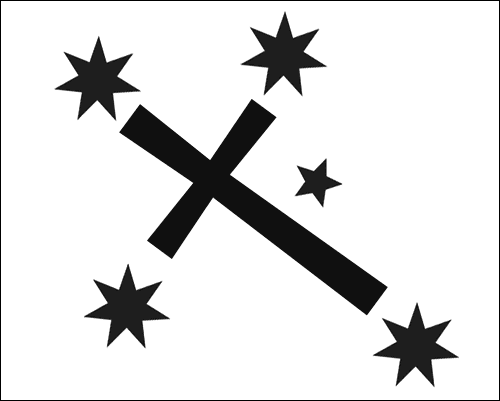 Read about the the Crux constellation, also known as the Southern Cross. 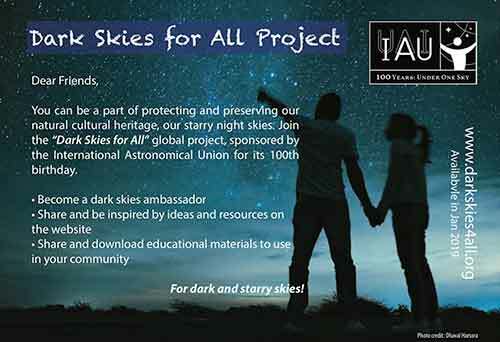 In celebration of the 100th birthday of the International Astronomical Union, the IAU100 Global Project Dark Skies for All aims to raise awareness for the preservation of dark skies for current and future generations. A key part of the project is to provide access to a useful, self-contained, and well-tested teaching kit on dark skies, namely the “Turn on the Night” educational kit. Developed at NOAO, the kits are now being built and distributed by an educational kit company called Laser Classroom under a recent agreement with AURA/NOAO. To acquire your kit, please see https://mailchi.mp/laserclassroom.com/turnonthenight. A second main objective of Dark Skies for All is to build a portal of dark skies resources. Educators and dark skies advocates are invited to contribute their dark skies resources and download others at https://darkskies4all.org/resources/. Resources may include, but are not limited to, general information, educational materials, campaigns, projects, resource guides, datasets, products, articles, books, websites, software, apps, policies statements, ordinances, videos, music, art, presentations, and research studies. The program focuses on resources for children of all ages, researchers, the media, policy makers, families and the general public, among others. A third component of Dark Skies for Allis the IAU100 Dark Skies Ambassadors program (https://darkskies4all.org/ambassador/). This program invites keen enthusiasts worldwide to be dark skies advocates and to spread awareness of the concern about light pollution. Dark Skies Ambassadors help organize and disseminate events through their networks, while encouraging others to participate. This program also stimulates a peer-supporting environment and provides visibility of events. Depending on prior experience promoting dark skies awareness, there are three levels of participation for individuals and organizations. Here is a great way to get involved in the Globe at Night campaigns. Try the Adopt-a-Street program!!! Especially March 27-April 5 when the last six days of the Globe at Night campaign coincide with the International Dark Sky Week! Are you passionate about Dark Skies? Consider coordinating an Adopt-a-Street program in your area during the 2019 Globe at Night campaigns. It is hugely simple to do. Figure 1. Tucson, Arizona, USA’s successful Adopt-a-Street program a few years ago. Globe at Night offers a “Call to Action” for those who want to take more measurements during the campaigns. Children and adults can “Adopt a Street” in their town to take visual and possibly sky-brightness meter measurements during the Globe at Night campaigns. The strategy is for people to adopt a different major or semi-major street and take measurements every mile or so for the length of the street (or for as long as they can). 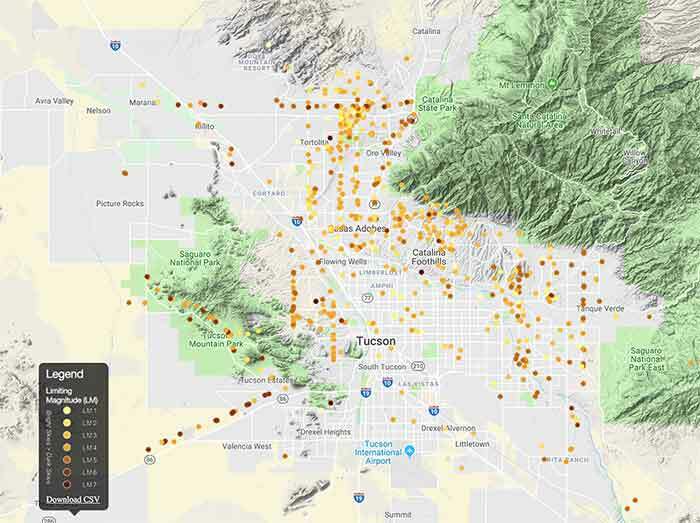 The grid of measurements will canvas the town, allowing for research later in comparison to wildlife, health, energy consumption and cost, among other things. 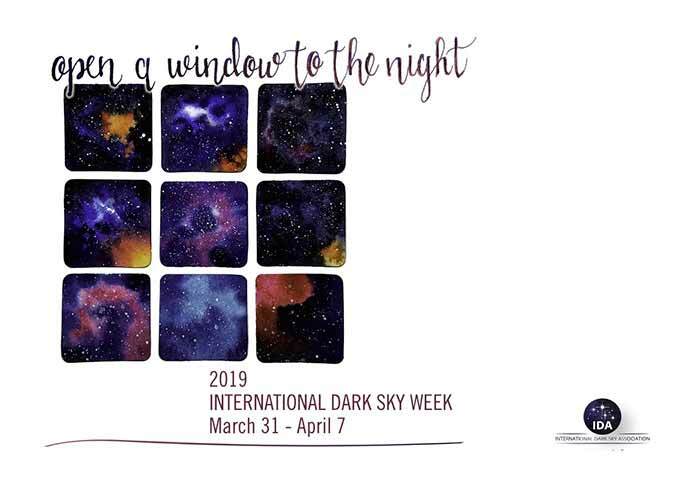 International Dark Sky Week draws attention to the problems associated with light pollution and promotes simple solutions available to mitigate it. For ways you can get involved, click on “5 Ways to Celebrate Dark Sky Week”! Thanks to amazing dark skies advocates everywhere and especially teacher Karolina Damjanoska from Macedonia!!! Every year, beginning in 2018, Karolina has taken Globe at Night data. Her students and sons have won science competitions using the data. She defended her master’s thesis using the data. And in April she will be presenting the Globe at Night program at the upcoming European Geosciences Unionmeeting. Three cheers for Karolina! We are inviting her and all other interested dark skies advocates to become dark skies ambassadors at https://darkskies4all.org/ambassador/. Do you have a Globe at Night story? Share it with us at globeatnight@noao.edu. Each year beginning in 2008, Karolina’s students have contributed data for Globe at Night. These maps are from 2016 showing data from her city of Prilep, Macedonia and Gevgelija, Macedonia. Map on right shows a zoomed in map of Prilep.